NYX Professional Make Up’s oh-so-chic range of brushes allow you to blend your products seamlessly, with super soft bristles to get your make up looking tip-top. Their Pro Brush Contour features a tapered, round brush head allowing you to apply contour product under the cheekbones and at the temples of your forehead. Hardworking, reliable and affordable – it pretty much sums up everything that we love about this line. This hardworking shadow brush has light bristles with a sharply angled handle, to create a crisp liner flick with a few simple sweeps. 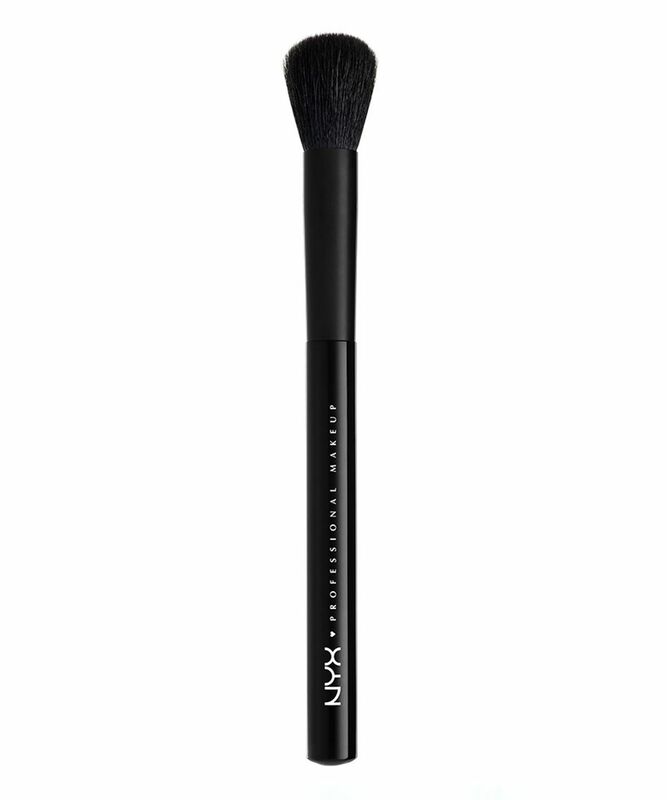 It features a minimalist all-black design, with black ferrule complete with subtle NYX Professional Makeup logo. The brand has amassed a loyal army of devotees for their tried-and-true range of products – and their brushes are no exception, allowing you to master all manner of make up techniques with ease. Plus, if you look after these brushes, they will last you a lifetime.